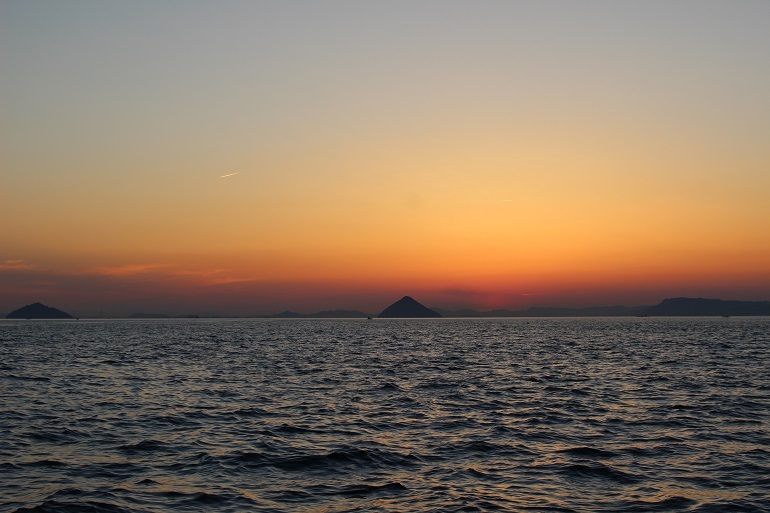 Enjoy great views of the Seto Inland Sea and the bay with Catamaran cruises! 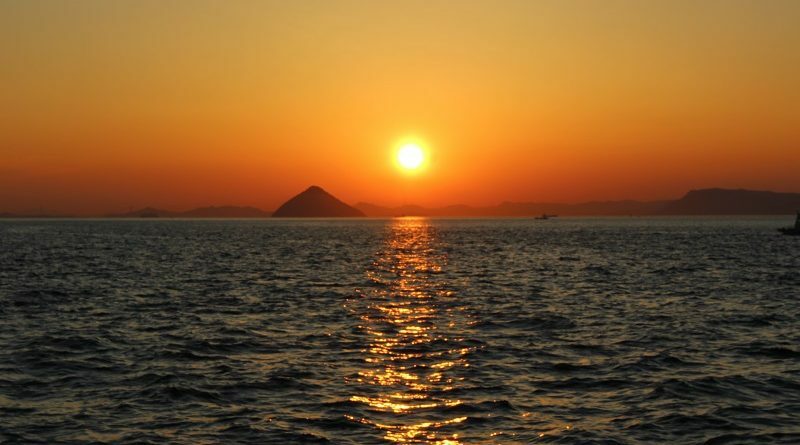 Kagawa visitors are mesmerized by the breathtaking views of the Seto Inland Sea – something you can’t experience in big cities like Tokyo and Osaka.For people who want to fully enjoy the Seto Inland Sea, we recommend the Catamaran Cruises. These tours allow you to choose between enjoying the mountains or the coastline. 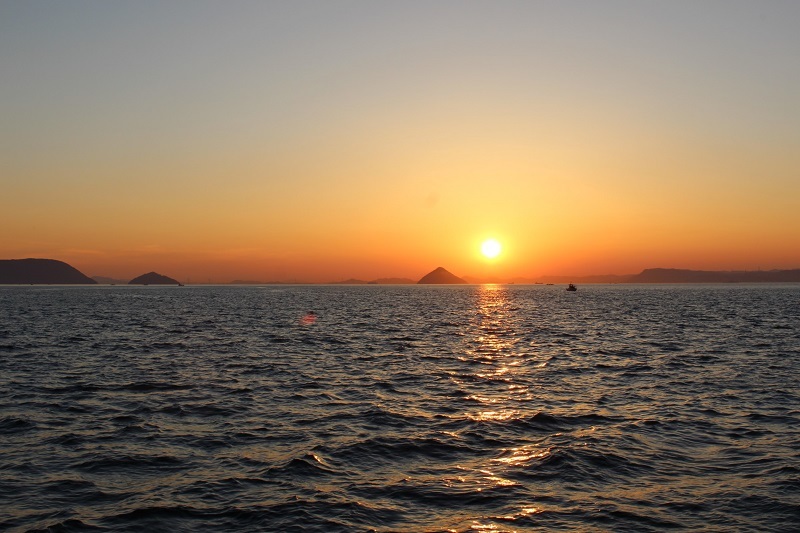 The sea tour has 3 basic plans – the morning tour (around 4 hours), the afternoon tour (around 4 hours) and the sunset tour (around 2 hours).We would like to tell you about one of these 3 plans, the Catamaran sunset cruise tour. Here is a little bit of trivia about yachts: the Monohull is a type of boat with only one hull; a Catamaran has two hulls and the Trimaran have three hulls. Multi-hulled boats are more stable than Monohull boats and the Catamaran is a very popular way to cruise these days. 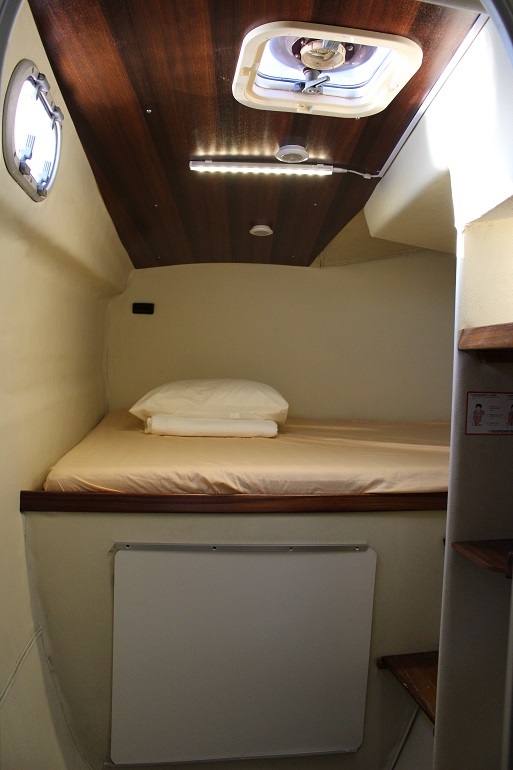 The capacity of the boat is 18 people, including 1 captain and 1 other crewmember. The minimum number of passengers is 4 people. 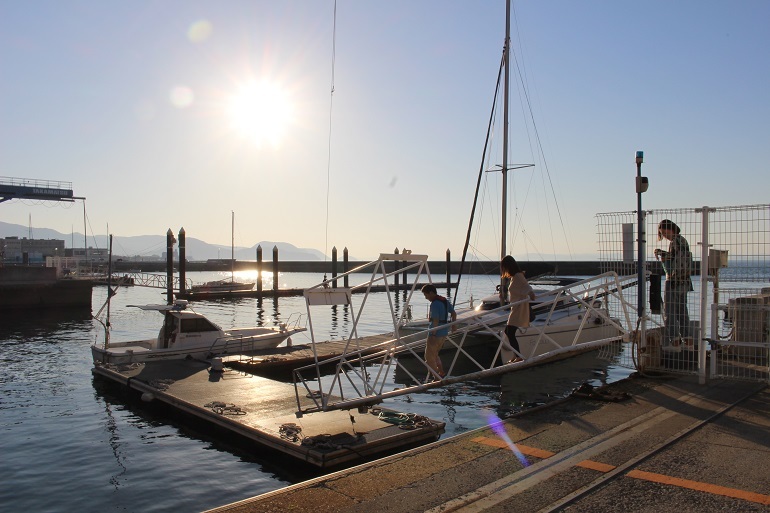 Our group met up at Takamatsu Marina and left the port at 18:00. 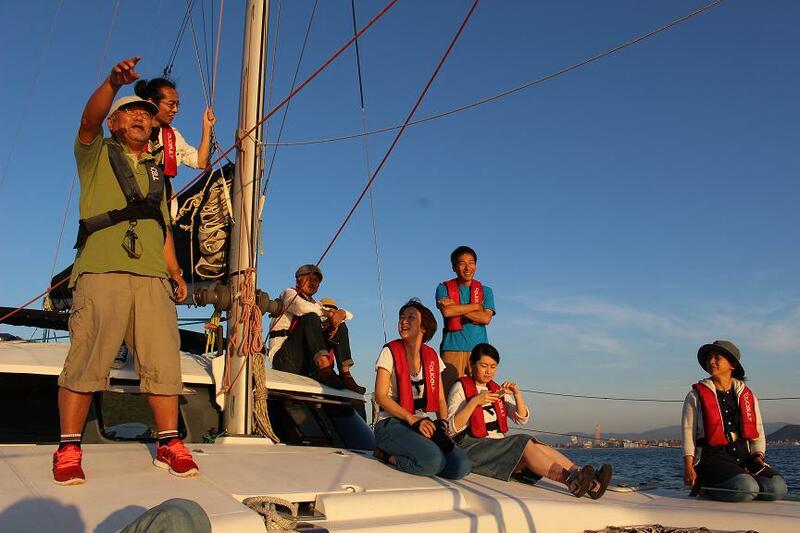 It was a sunny day in May, the best weather for sailing. After stepping onboard, we put on life jackets then listened to the crew’s safety briefing. 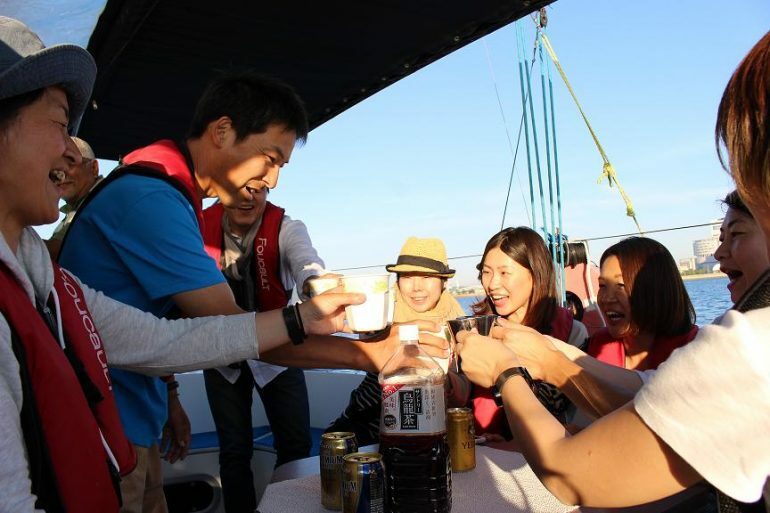 We had a big toast after departure.You are free to bring any kind of food or drink you want.In fact, bringing your favourites and sharing with each other makes for an even better experience! 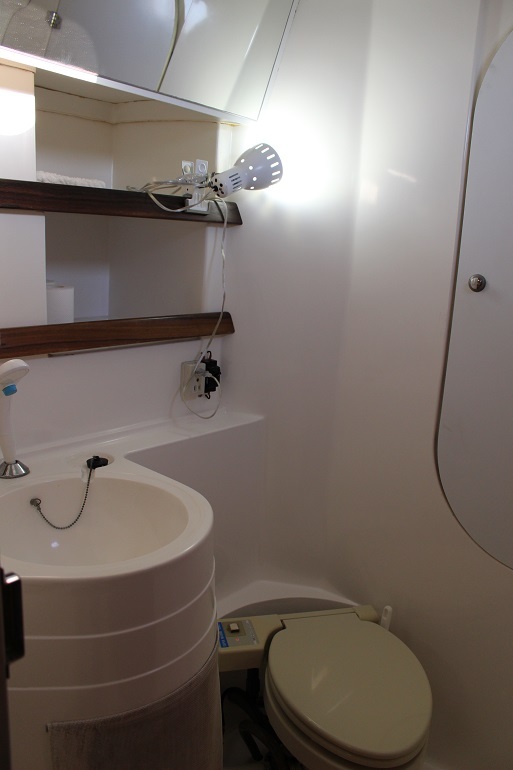 Don’t worry about getting seasick – the boat is equipped with a bathroom and a bed just in case. 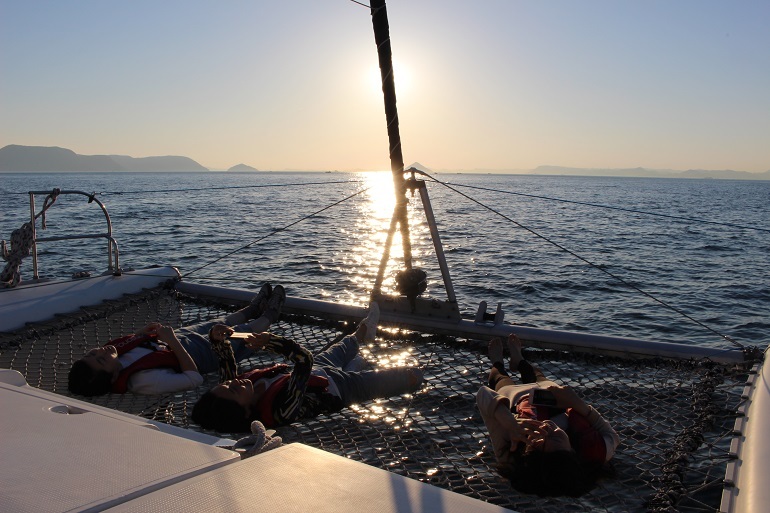 You can lie down or sit on the net put up in the front part of the boat and breathe in the salty scent of the sea around you and let the sound of the waves lull you. 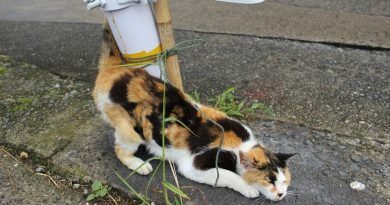 The well-informed crew will give you all the details about the islands and the Seto Inland Sea. The breathtaking sunset left everyone speechless. 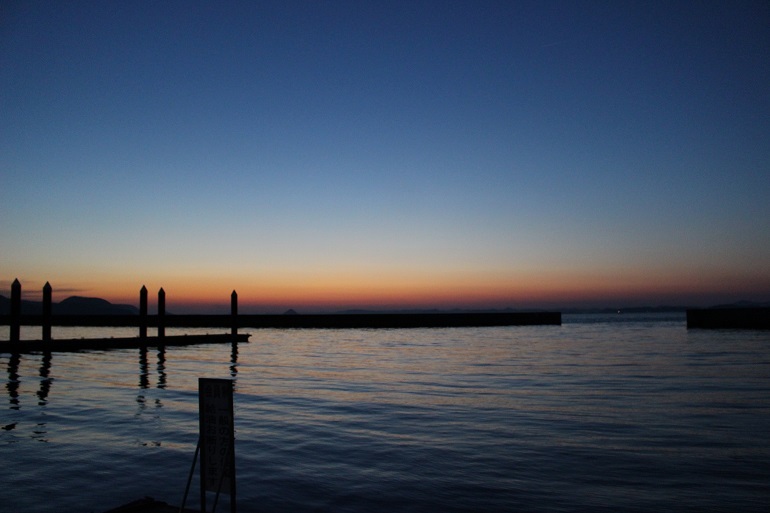 Even after the sun disappeared below the horizon, the afterglow continued to illuminate the evening sky and the ocean for a long time. 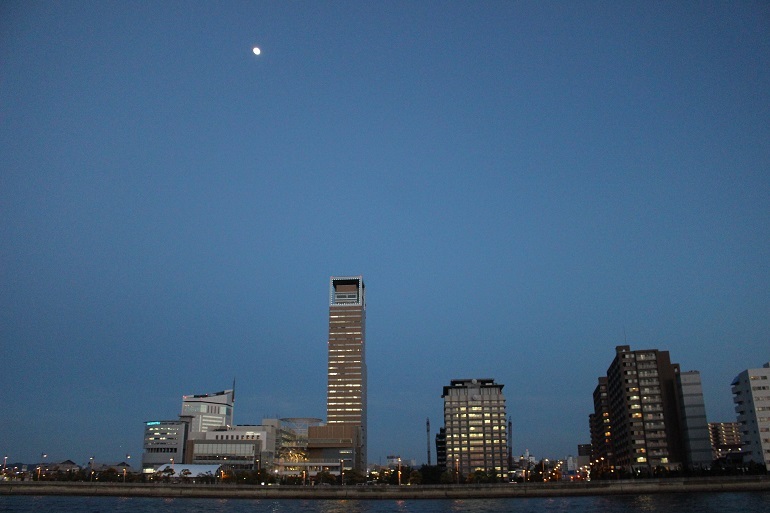 When you are back in Takamatsu Marina, you can enjoy a different side of Takamatsu during nighttime, another great point of this cruise.It was a 2-hour cruise but we were able to witness a breathtaking moment of the sunset and the beauty of the Seto Inland Sea. 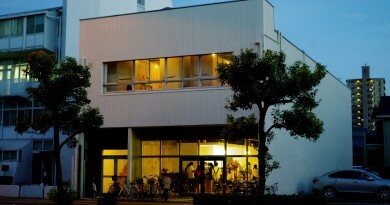 An organization built upon bringing people a first-hand experience of the fascinating islands in the Seto Inland Sea, together with Kagawa’s characteristic charm. Beyond the spots scattered across the sea, this organization also provides tours into the unique mountainside found only in this region. 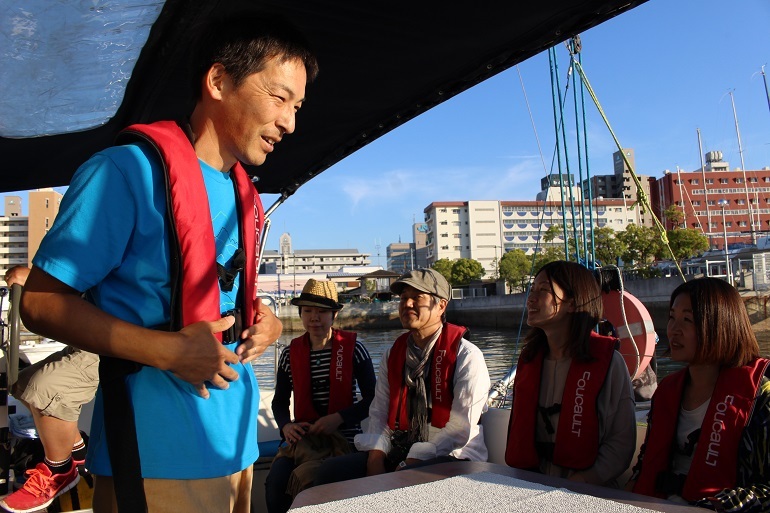 On these tours, you are sure to experience all the beauty Seto Inland Sea has to offer between the main islands of Honshu and Shikoku.